Today, Nintendo created an internet meme. No, scratch that. Nintendo created several. My favorite? 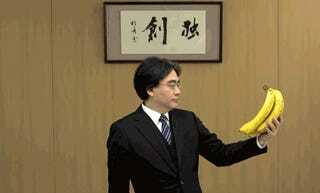 Nintendo president Satoru Iwata...holding bananas. 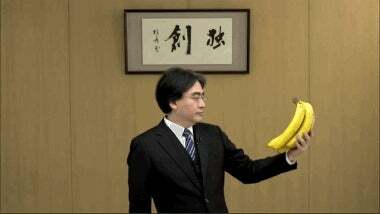 At Nintendo's press conference, a prerecorded clip showed the company boss holding...bananas in an effort to drop Donkey Kong hints. The internet, of course, was delighted, and happily produced meme photos and GIFs to appeal to everyone's sense of humor. 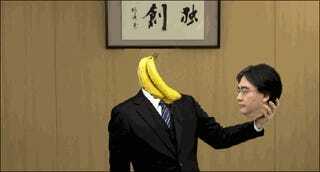 Below is a selection from popular forum NeoGAF as well as some Iwata banana art.